ZiWeiDouShu is an ancient Chinese Astrology. 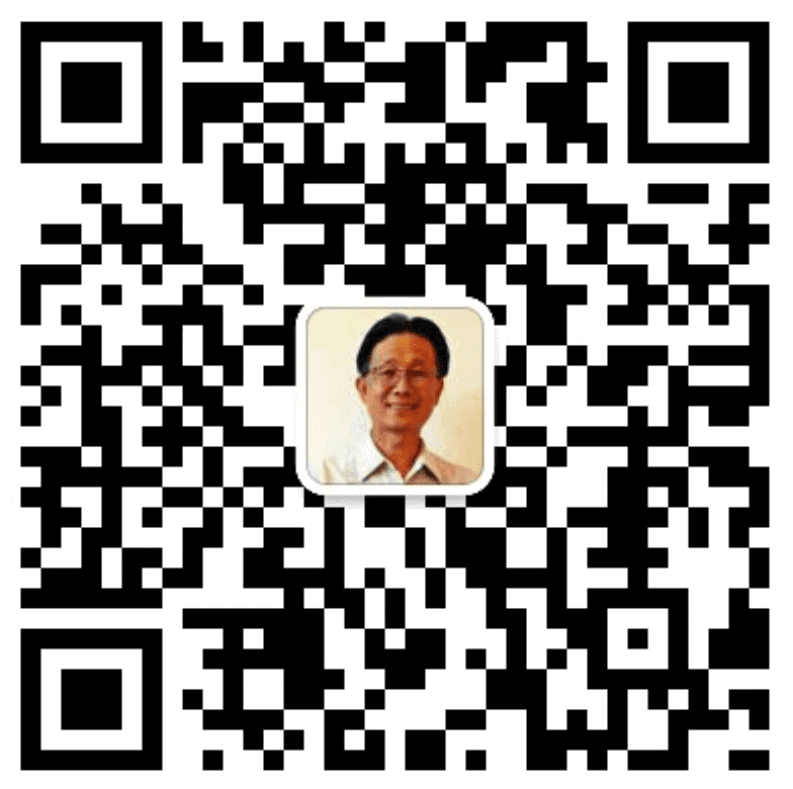 Like Bazi Four Pillars of Destiny, it is a fortune telling methodology. It is believed that the Ziweidoushu was first practiced in the Sung Dynasty which means it has over a thousand years history. 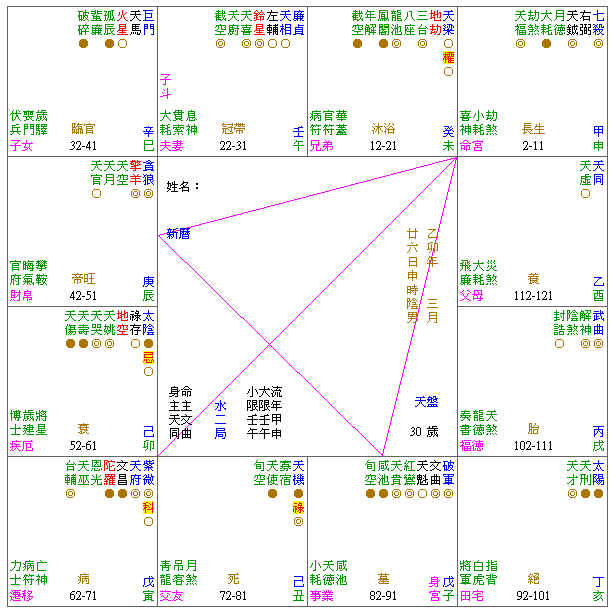 Fortune telling system ZiWeiDouShu uses a ZiweiDouShu chart which is formed by placing “symbols” (or stars) into the 12 different “Houses” or “Palaces” according to one’s date of birth and time of birth. (year, month, day and hour). From the ZiWeiDouShu chart, the Ziweidoushu practitioner, consultant is able to analyze the trend of a persons life and, best of all, is able to predict what would be the outcome of a particular issue in much the same way as economists use graphs and charts to predict economic cycles. It may sound mysterious, however, the theory is based on the statistical analysis of lots of data collected over many years and many generations. 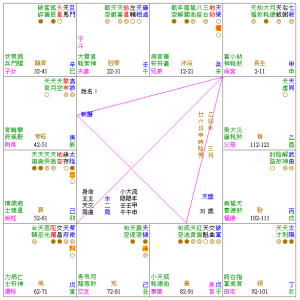 There are 115 Stars in a ZiweiDouShu chart. The methodology is composed of the analysis of these “Stars” distributed into 12 Houses.